Description: Rarely do such apartments become available for sale: right next to the beach at the Marina, a three bedroom plus office apartment on the second floor of a two-storey complex in a gated community. This apartment is one of only eight luxury apartments at the Ocean Blue complex, located within the exclusive Marina Beach Resort. Featuring beautiful ocean views, and just a short walk to the beach, this unit offers something special for the discerning buyer. The views can be enjoyed from one of the living areas, the main bedroom and from the large balcony, which is ideal for barbeques and outdoor entertaining. There is a lift from the underground carpark, where this unit has two parking spots, up to the apartment so it's ideal for someone who doesn't want to use stairs. 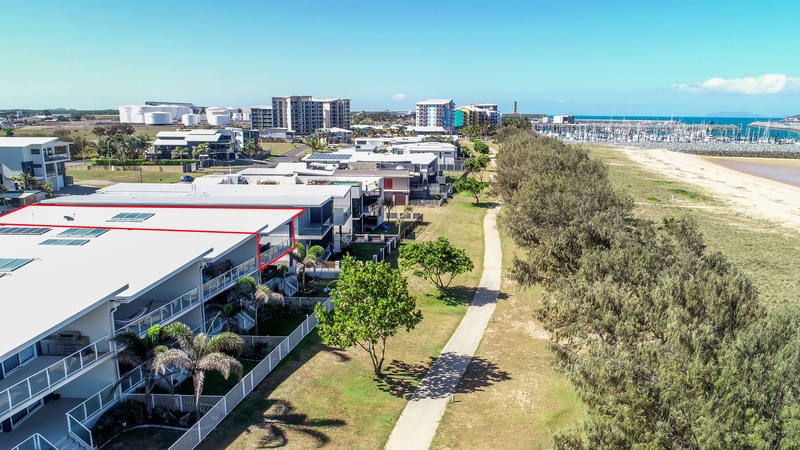 This apartment is perfectly located for someone wanting to enjoy the fantastic Mackay Harbour lifestyle. It is a short walk to the beach and parks as well as the bars, restaurants, the Yacht Club and the surf club. Give David Fisher a call to arrange an inspection. Contact Gardian Real Estate Today!!! Email Gardian Real Estate Now!